Update 02/20: The survey has been extended through Monday, February 26! Today, after extensive prep work since we first floated the idea back in 2016, we are excited to launch the ParticipateDB 2018 Digital Engagement Census, a global practitioner survey aimed at improving our understanding of how technology is shaping community engagement today. receive an electronic copy of the final report free of charge (to be issued later in March). We are exceptionally pleased to be partnering with a group of renowned international organizations and practitioner networks in this field. This project wouldn’t be possible without their support and guidance. Thank you! We’ve recently taken a digital approach to bidding for work, creating websites that showcase what we can offer in the digital space, via a digital forum. It’s easier to play around with the design and tell our story and stands out from the usual PPT and word docs submitted for tenders. 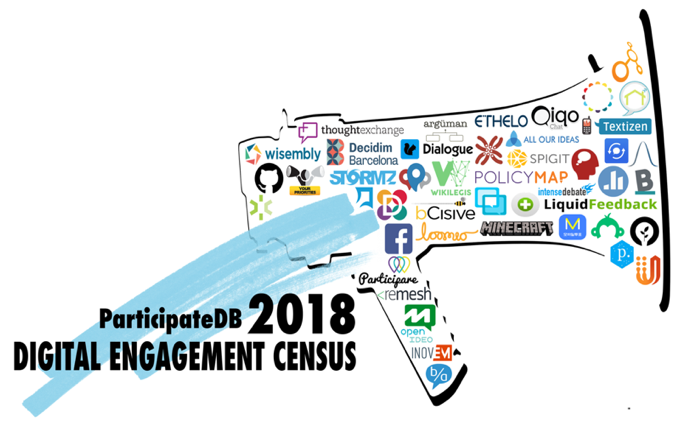 Next post: ParticipateDB 2018 Digital Engagement Census: Extended Through February 26!